Tried and true, tapers are great way to stretch your lobes. Each kit includes one taper and two no-flare plugs. All items are made with stainless steel. 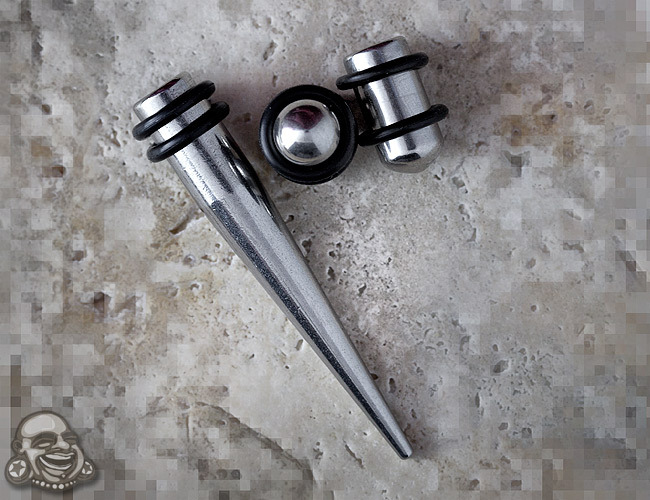 You'll get one steel taper and a pair of steel plugs. The plugs have one flat end and one rounded end. The tapers flatten out near the end so it makes for an easier stretch. All items come with black orings. You can find just the plugs here.